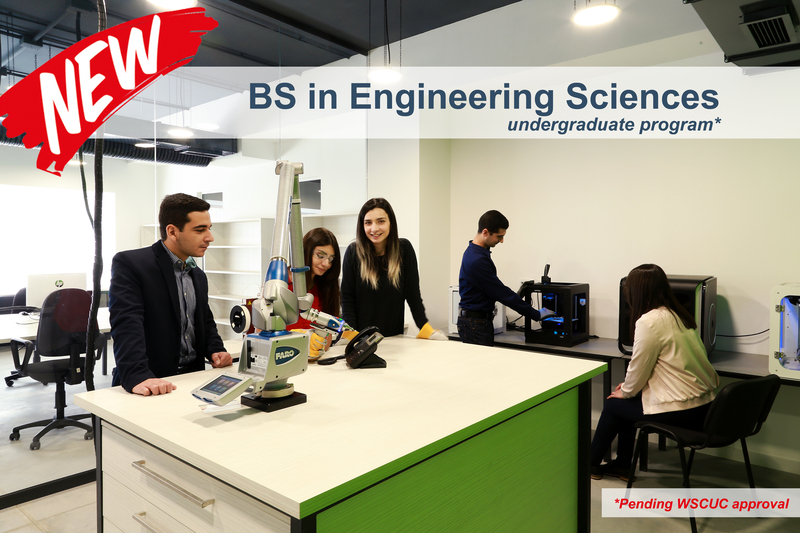 Yerevan, Armenia — This year, the American University of Armenia (AUA) is proud to announce the arrival of a new program: Bachelor of Science in Engineering Sciences (BSES), pending WSCUC approval. The program will be launched in time for the 2017 Fall semester. The 4-year undergraduate program will be offered through the Zaven & Sonia Akian College of Science and Engineering (CSE) as a part of a liberal arts education at AUA. The program is designed to provide a multidisciplinary undergraduate degree that fuses core concepts from several traditional engineering disciplines empowering graduates to address challenges common to complex and integrated technological systems. Graduates of the program will be well prepared for employment in a wide range of sectors requiring analytical and quantitative skills as well as advanced studies in a wide variety of academic disciplines, such as mechanical, electrical, and systems engineering, as well as computer science and robotics. By leveraging synergies with AUA’s Entrepreneurship and Product Innovation Center (EPIC), the BSES program accentuates innovation and creativity, fostering an entrepreneurial disposition in graduates. The program also underscores effective oral and written communication skills to help graduates convey ideas from the discipline, empowering them to become change-agents and leaders. 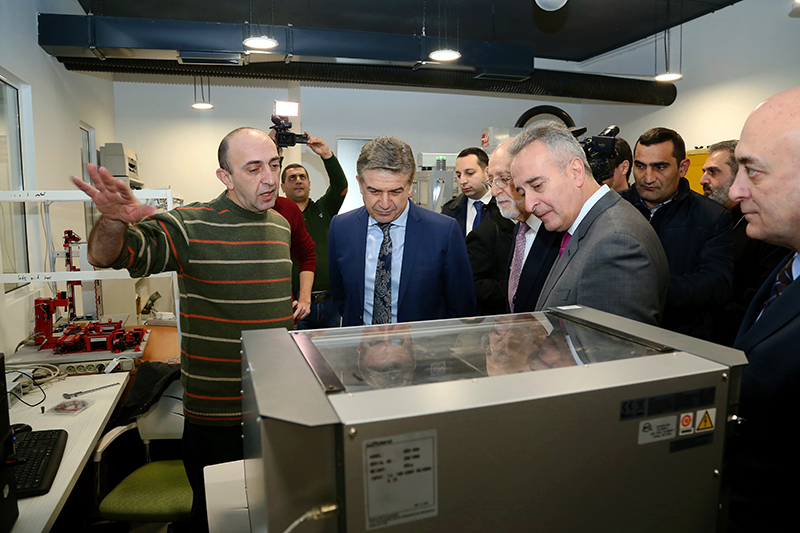 The program design and implementation has arisen in response to Armenia’s growing demand for leaders in the interdisciplinary fields of Science, Technology, Engineering, and Mathematics to address modern challenges in the private sector, defense, and security realms, as well as innovation-driven economic development. Applications are currently being accepted. Please see http://admissions.aua.am/undergraduate-admissions/ for more information on applying and http://cse.aua.am/es/ for more information about the program.